International Conference "Sputnik-60: Along the Path of Discoveries"
4 October 1957 the launch of Sputnik-1 marked the beginning of the Space Era of mankind. To commemorate the event Space Research Institute of the Russian Academy of Sciences (IKI) holds the International Forum “Sputnik: 60 Years Along the Path of Discoveries”, which would examine the evolution of our ideas about the Earth, Solar system, other stars, galaxies, and the Universe over the recent six decades. The main fields and issues of modern space research will be covered in the talks, given by prominent experts in the field of space science. Sergey Pulinets. Is it possible to make an earthquake forecast from space? «Space: The First Step. Collection of essays devoted to the 50th Anniversary of First Artificial Earth Satellite - Sputnik launch». 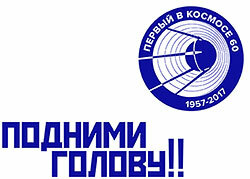 «Fifty Years of Space Research. Proceedings of the International Forum “Space: Science and Challenges of the XXI Century” dedicated to the 50th anniversary of the Sputnik launch». Scientific sessions at IKI are held in the conference hall (1st floor) and will have parallel translation. Address: 84/32 Profsoyuznaya Str, Moscow, Russia, Entrance 4. Entrance to IKI on Oct.3-4 is free with on-site registration (please, take your valid ID). The event at Kremlin upon invitation. Entrance to the Doors Open Day at IKI is free.